Last week we discussed strategies that help microentrepreneurs build their social capital and increase their social impact through participating in projects designed to increase the vibrancy of one’s community and contribute to their local economy. Adopting some of these socially responsible strategies is a good way to further look out for your community (social impact) and key stakeholder groups in your business such as your employees, suppliers, business service professionals and business community (your social capital). This week, we are going to look at another group of stakeholders who are crucial to both the long- and short-term economical sustainability of your business: your customers. After all, without customers, there is no viable business. Increasingly, customers want more than just a product or service that is high quality and good value for their money. They want to know about the company’s values regarding the environment, providing fair and safe working conditions and community; how the company’s stated values are reflected in its business practices; and whether the walk matches the talk. According to a 2015 Cone Communications study of global consumers and corporate social responsibility, 91% of respondents in this study indicated they expected companies to operate responsibly and do more than just make a profit, and 84% of study participants reported they seek out sustainably produced products whenever possible. It’s also worth noting that customers do not take kindly to being deceived about a company’s values and S-R practices. Ninety percent of respondents in the Cone Communications 2015 survey of global consumers stated they would boycott a company if it engaged in irresponsible or deceptive business practices. Customers also value the opportunity to directly engage with companies about their corporate social responsibility. (Presumably, this might also include being asked for feedback on how well companies are doing with their corporate social responsibility commitments and being invited to suggest specific causes or campaigns that are important to customers.) Furthermore, according to the Cone Communications 2015 survey, an increasing proportion of consumers (61%) are using the internet and social media to research and share information about various companies’ social responsibility platforms and strategies. 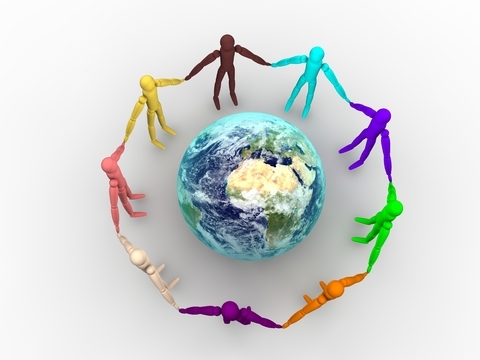 What does social responsibility look like in relation to one’s customers? At a minimum, it means developing a relationship with customers/clients that goes beyond a merely financial transaction. If you think about your favourite places to shop and why you like them so much, you’ll get a sense of why your loyal customers keep coming back and why they recommend you to their friends and professional acquaintances. As mentioned above, customers also want to be actively engaged with their favourite businesses’ social responsibility strategies, whether through opportunities to provide suggestions directly to an enterprise or through being part of a community with a shared interest or concern. One example of this kind of community building is the Great Sandwich Make: an annual event organized by Kim McMullen, the Chief Creative Renegade at Flipside Creative. The Great Sandwich Make brings together Kim’s friends, clients, and business acquaintances (and friends of all these connections) to make hundreds of sandwiches and pack care kits (902 of them in 2016) which are then distributed to street-involved individuals in the downtown east side of Vancouver. Take Your Mark, Get Set, Engage! After you have completed your inventory of the socially responsible practices for customer relations, give yourself a minute to congratulate yourself for any practices that you already have in place. Next, review the list of strategies that you don’t yet have in place. Do a quick cost-benefit assessment to narrow the list down to one or two strategies than you can feasibly implement in the next few months, based on your current resources. Decide on your action plan for meeting your goals, and don’t forget to let your customers know about your new ventures. If you can’t decide which project to start with, start by polling your customers to get some input into which goal(s) are important to them. Design a short customer satisfaction survey for your customers. Either send the surveys electronically or have paper versions available if you have a “bricks-and-mortar” store. Talk to your customers about your S-R strategies; find out what matters to your customers. Hold a customer appreciation event within the next three months. It doesn’t have to a complex event; it could be as simple as sending a thank you note to your customers. What socially responsible strategies have you implemented in your business? How well do the strategies work for you? Which ones were the easiest or most enjoyable to put in place? Do you have any practices that you would like to share in the comments section? Cone Communications, 2015 Cone Communications/Ebiquity Global CSR Study, Cone Communications Research Blog, http://www.conecomm.com/research-blog/2015-cone-communications-ebiquity-global-csr-study, accessed February 4, 2017. Cone Communications, 2015 Global CSR Infographic, Cone Communications Research Blog, https://static1.squarespace.com/static/56b4a7472b8dde3df5b7013f/t/573b6e6822482eca31fc705a/1463512682037/05192015Global_CSR_Infographic_FIN.png, accessed February 4, 2017. 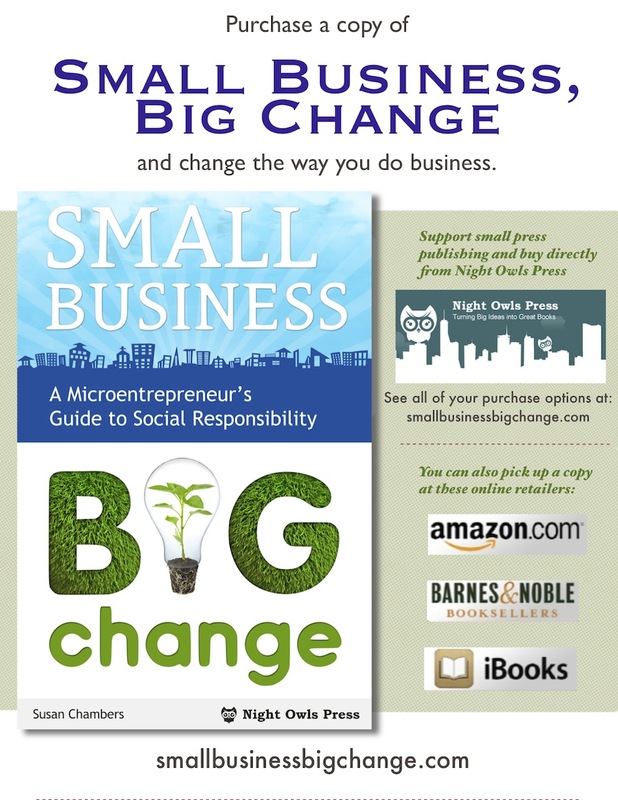 Chambers Susan, Small Business, Big Change: A Microentrepreneur’s Guide to Social Responsibility (San Francisco, CA: Night Owls Press, 2012), p.173. Chambers Susan, Small Business, Big Change, p. 191.